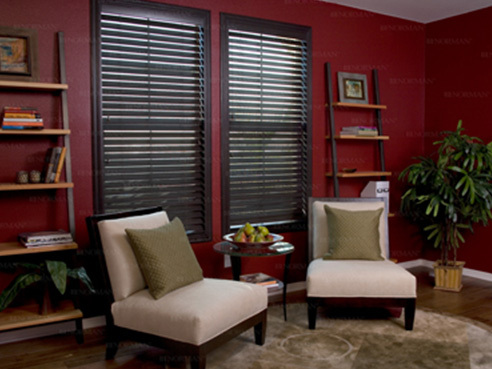 Faux Wood Blinds are the practical, economical alternative to Wood Blinds. Made from advanced technology, pvc and a composite of man-made materials combined with wood particles, Fauxwood Blinds look just like real wood blinds and have the additional benefit of being fully washable and unaffected by humidity. Available in a wide range of colors and textures, Faux Wood Blinds are the perfect addition to any home or office.